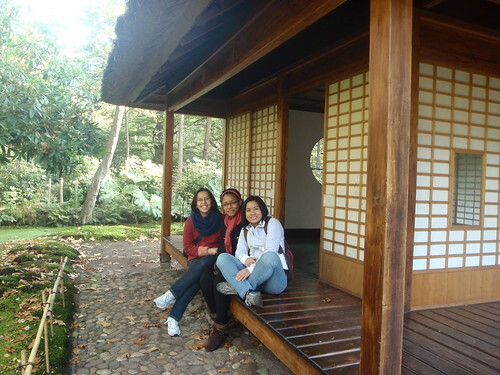 Together with some friends, today I went to Clingendael to see its prized Japanse Tuin (Japanese Garden). 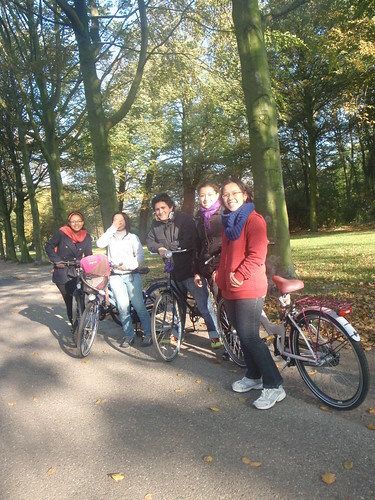 Clingendael itself is a big and beautiful park. But visiting Japanse Tuin gives you more sensation because every year, it’s only opened for two weeks in autumn, and another couple of weeks in spring. A lot of other visitors were there when we took a stroll inside the garden. It’s a bit weird to see a Japanese garden here in The Netherlands, with moss everywhere, a lot of lanterns, Buddha statue, and even a Japanese pavillion! But hey, it’s a nice byproduct of orientalism, perhaps. I really love to see the warm earthy tone of autumn to be in contrast with the bright red momiji trees. Somehow I remember Indonesia’s Vice President, Boediono, singing Sinatra’s “Autumn Leaves”. 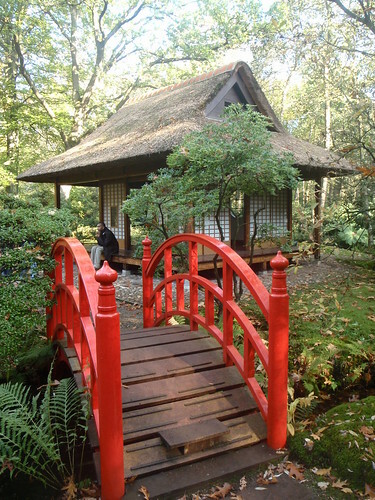 The Japanese Garden was created in the beginning of the 20th century by the former owner of the country estate of Clingendael, Margu�rite M. Baroness van Brienen (1871-1939), also called Lady Daisy. 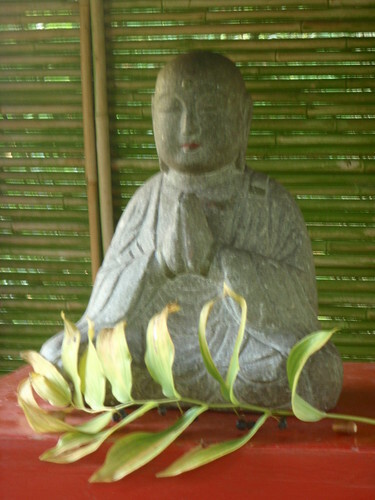 Lady Daisy sailed off a number of times by ship to Japan and brought back to the Netherlands a number of lanterns, a water cask, sculptures, the pavilion, the little bridges and several plants. The original design with the serene pond, meandering brook and the winding pathways has remained intact all these years. 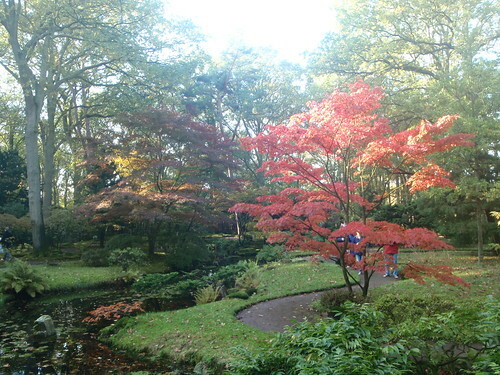 The Municipality of The Hague has always taken great care of the Japanese Garden because of its uniqueness and tremendous historical value. The garden was placed on the list of national historical monuments in 2001. Due to its fragility, the garden can be visited only during two short periods of the year.